NO MORE BUYING MULTIPLE HEADBANDS! Our Headbands are unique to byTina Design. 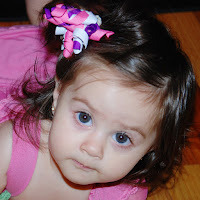 Our Headbands (for baby girls, toddlers, tweens and adults) are interchangeable and come with an attached loop so any hair clip can be attached to it. Need to order in bulk for Party Favors, School Team or other Event? We can customize any order to accomodate your party theme or school colors. Have a design in mind and don't see it on our site? We can make it for you! STAY UPDATED ON NEW PRODUCTS, EVENTS AND GIVEAWAYS!